Is Cord Blood Worth the Time and Investment? Why use Cord Blood? What are it's benefits? Is Cord Blood Worth It? Home » Is Cord Blood Worth the Time and Investment? Cord blood banking has been increasing in popularity with more and more people leaning towards storing them for the future. With that being said, cord blood banking is considered to be on the expensive side of things making others think twice if this endeavor is worthwhile. 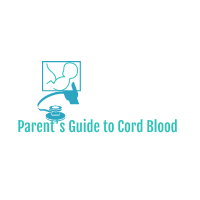 Let us look at why cord bloods are stored and what role they have in the field of medicine. It is important to note that the cord blood itself is not the main reason why they are being stored for future use but instead because of the stem cells they bring into the table. Cord blood stems cells today are recognized and used in treating various diseases. This include a wide range of cancers, genetic diseases, and blood disorders. Cord blood has also been considered to be an invaluable asset that is used in a number of research in hopes to further advance medical treatments. Research was made possible with people who are willing to share cord blood in both public and private banks. As mentioned earlier, pursuing cord blood banking can be pretty expensive especially if you are looking at long term. If you are going for a private bank, expect a fee that ranges from about $1,000 to $3,000 charge for the first-year processing fee. Clients usually will not be able to use their stored cord blood right away so they will be paying for royalties that amounts from $90 to $175 for its annual storage cost. This is the reason why even though cord blood uses are plentiful, a huge number of individuals will often feel reluctant to store them for future use. There is however, a good alternative to private cord blood banking if budget is your issue. You can instead opt for its public counterpart which is offered free of charge. This means that the cord blood banking will be provided at no cost. This in turn makes it possible for just about anyone to make use of their services. With that being said, since this is a public cord blood bank, families will longer have access to their own stem cells after donating them. Donating to a public cord blood bank however, can make you feel good as the stem cells that you have donated will be available to anyone who needs them. Cord blood banking does indeed provide a good amount of benefits making it quite promising to their clients. Many find this to be a worthwhile investment as they are able to feel a huge amount of convenience and relief knowing that there will always be an available cord blood for their families to use. Preparation is key when considering cord blood banking so make sure that you discuss this with your partner months before planning on having a baby. This in turn can help you save yourself from the hassle of making last minute decisions with regards to how you want to use cord blood. Is Private Cord Blood Banking a Worthwhile Investment? Next post Is Private Cord Blood Banking a Worthwhile Investment? How important is an Umbilical Cord Blood Transplant?